LON-All Airports - Dubai Intl. 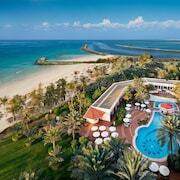 Uncover the many secrets of Ajman. Keen to see another side of Sharjah? With so many places to roam and things to keep you busy, it's easy to see why 550,000 residents choose to call the impressive city home. 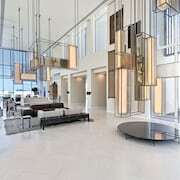 Ajman is situated 5 miles northeast of the centre of town. If you're arriving via Sharjah International Airport, you'll need to collect your bags, find a taxi and travel 8 miles northwest. 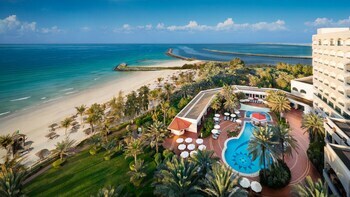 Ajman dreaming? From year-long exploits to short, rejuvenating escapes, ebookers are the true experts in holiday planning. You'll have some extra cash in the bank if you fix both your airfares and hotels with us. Save up to 16%*! There are over 500 airline partners and more than 500,000 properties worldwide just a few clicks away. It's time to stop searching and start organising your dream getaway. If you're anxious about finding the best price, you can rest easy. The ebookers Price Guarantee means that if you book a Flight + Hotel package and then locate a better deal elsewhere within 48 hours pre check in, we'll meet it and repay you the difference. There's no time like the present to pull out your passport and start ticking off some bucket-list sights. Whether you'd rather get lost in the wonder of a non-stop metropolis or just find a bit of breathing space, let us help you make it happen. Terms and Conditions apply. Ajman is a sightseer's wonderland. Many of the city's best attractions are sprinkled near this neighbourhood, including the Hamidiya Mosque and the Gulf Medical College. Don't forget to put the Golf And Shooting Club Sharjah and the Sharjah Archaeology Museum on your list as well. For a new perspective on Sharjah, organise an outing to Rumailah and Beach & Coast, close-by neighbourhoods that you'll love exploring. Whether it's your first trip here or you're heading back to some of your favourite haunts, it's difficult to get bored. Especially when the centre of Sharjah is alive with fantastic sights like Sahara Centre. Look closely into the glass cabinets and learn all about the artefacts on display as you meander through the engaging collections of the Islamic Museum, the Ajman Museum and the Sharjah Museum of Islamic Civilisation. If you're interested in sacred places, you shouldn't miss the Corniche Mosque and St. Gregory the illuminator Armenian Church. No trip to the city is complete without catching a game at Sharjah CA Stadium, the home ground of the United Arab Emirates Cricket Team and Afghanistan National Cricket Team. If your visit coincides with a match, get into your team's colours and prepare to cheer your heart out. Great place with friendly staff and outstanding food. Fantastic hotel, overlooking the beach and sea! Great experience from check in, to meals, to housekeeping and all involved. Hotel team could not do enough to make sure we enjoyed our stay, and were more than helpful and accommodating for our the children with us. Would definitely recommend for anyone who wants a holiday!! 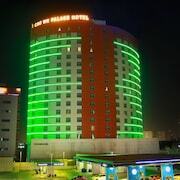 Located in Rumailah, this hotel is within 1 mile (2 km) of Ajman Beach and Ajman Museum. Safeer Mall and Ajman Free Zone are also within 3 miles (5 km). Nice trip The suit was very specious, location wasn't as I expected. 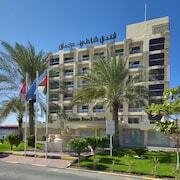 Nestled on the beach, this Ajman hotel is within 1 mi (2 km) of Ajman Museum, Ajman Beach and Ajman Free Zone. Safeer Mall is 2.6 mi (4.2 km) away. *Savings based on all holiday package bookings with Flight + Hotel made on ebookers.com from January 1, 2018 to December 31, 2018 as compared to the price of the same components booked separately. Savings will vary based on origin/destination, length of trip, stay dates and selected travel supplier(s). Savings not available on all packages.